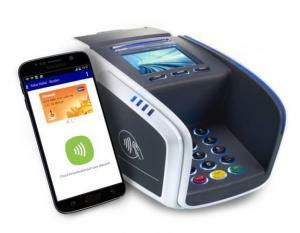 Rabobank to Use NFC SIMs from KPN for Rabo Wallet, While Competitors Promote Their Own Wallets | NFC Times – Near Field Communication and all contactless technology. Rabobank plans to expand support for its Rabo Wallet to NFC SIM cards issued by No. 1 Dutch telco KPN. The bank has also used embedded chips in Samsung devices for the wallet. But its new bilateral agreement with KPN could increase fragmentation in the NFC ecosystem in the Netherlands. NFC Times Exclusive Insight – Rabobank, one of the big three banks in the Netherlands, announced it will make debit cards for its Rabo Wallet available on NFC SIM cards issued by No. 1 Dutch telco KPN starting in the spring, after having anchored the wallet to embedded chips in Samsung flagship phones starting last year. If it continues support for embedded chips, Rabobank is believed to be the only bank that would use both types of secure elements for its own wallet. And Rabobank has suggested it is looking into host card emulation technology, as well. A spokeswoman for No. 2 Dutch operator Vodafone told NFC Times that the telco is open to talks with any bank or other service providers, including Rabobank, to use Vodafone’s own NFC SIMs, but indicated that this would be to put the applications in Vodafone’s own wallet, not other wallets. Article has about 1140 words.